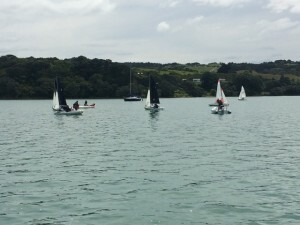 Day 1 was too windy for teams sailing, but the teams went on the water for 2 hours in the morning for coaching, then had rules sessions with Derry, speed work with Sharon Ferris and boat rigging with Alan in the afternoon. Day 2 saw 2 1/2 round robins sailed in 8-15 knots. Day 3 delayed starting due to light winds. Racing commenced before 11am, with RR3 completed & RR4 started, until no wind again stopped sailing with only 6 races to go. After a wait of almost an hour, the final RR was finished. 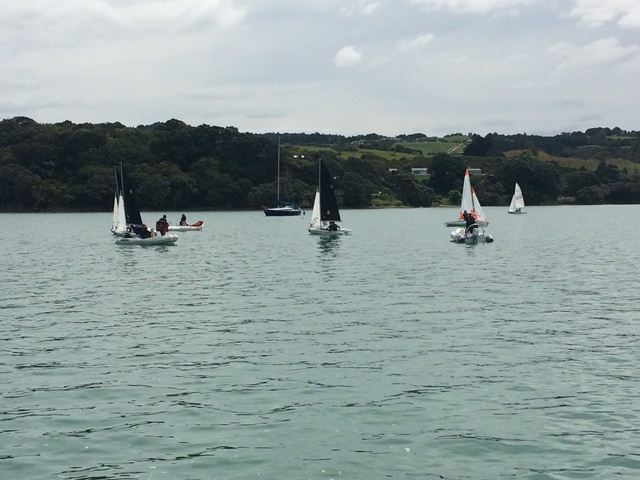 Well done to Whangarei Boys who sailed fairly consistently to retain the cup, followed by Mahu, then Glendowie 3rd.